Food vs. Fuel: Worse than We Thought? 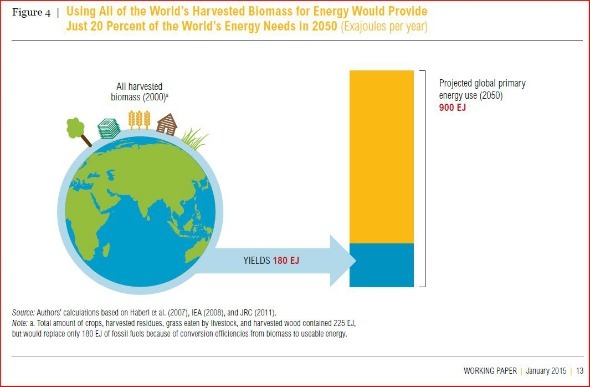 World Resources Institute (WRI) has published a report that is likely to put the food vs. fuel issue back in play as the 114th Congress considers options to reform the Renewable Fuel Standard (RFS) program. 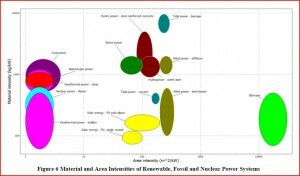 Another key finding explains why.
. . . the solar power system has the highest capital intensity compared to all power systems as it requires more capital and energy to construct the same nominal generating capacity; the system efficiency of solar power is only 10% to 18% compared to 30-50% for conventional and nuclear power systems; and the capacity factor for solar power is as low as 10% compared to 80% for conventional power system. 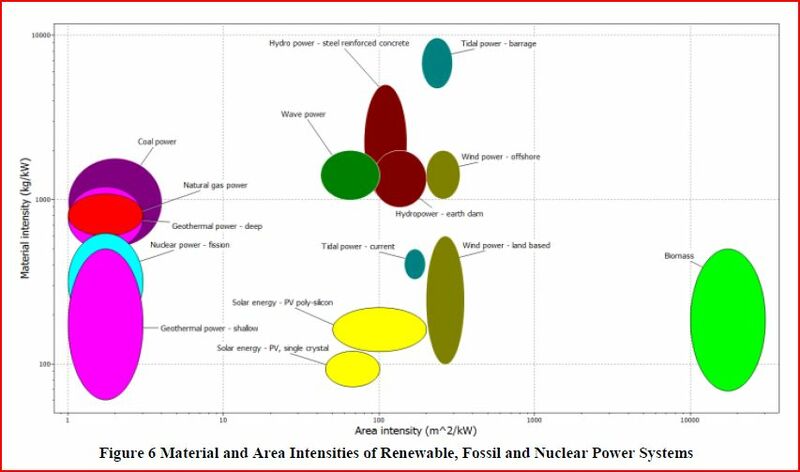 The chart below from the study shows that while the area (land) intensity of solar power is lower than that of biomass, the area intensities of nuclear and fossil power systems are lower still.